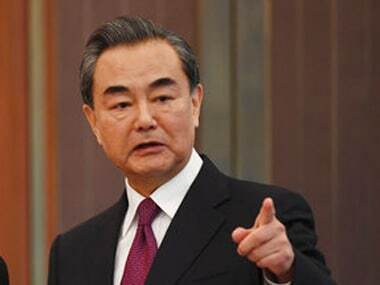 United Nations: Japan talking only about sanctions on North Korea rather than dialogue will be seen as going against United Nations resolutions, Chinese foreign minister Wang Yi told his Japanese counterpart. Tensions have continued to rise since North Korea carried out its sixth nuclear test on 3 September, prompting a new round of UN sanctions. Wang told Japan foreign minister Taro Kono on the sidelines of a United Nations meeting in New York that the situation on the Korean peninsula was getting increasingly serious and all sides needed to remain calm. 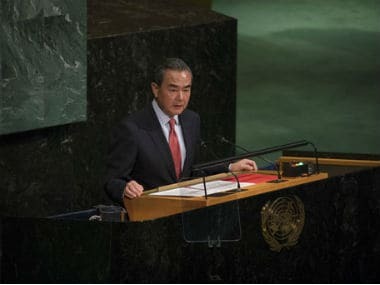 Resuming peace talks was just as much a part of the UN resolutions as enforcing sanctions, Wang said, according to a statement issued by China’s Foreign Ministry late on Friday. “If the Japanese side only talks about sanctions and does not bring up talks, or even goes against talks, it will be seen as contravening Security Council resolutions", the ministry cited Wang as saying. China hoped that Japan talked and acted cautiously and played a constructive role on the nuclear issue, he said. Beijing has repeatedly expressed concern about the rise of tensions over North Korea and, while it too has signed up for the increasingly tough UN sanctions, it has also urged a return to talks and for all parties to exercise restraint. On Friday, Russia urged “hot heads” to calm down as the United States admitted it felt “challenged” by North Korea’s warning that it could test a hydrogen bomb over the Pacific. Trump called North Korean leader Kim Jong Un a “madman” on Friday, a day after Kim dubbed him a “mentally deranged US dotard” who would face the “highest level of hard-line countermeasure in history” in retaliation for Trump saying the US would “totally destroy” North Korea if it threatened the United States or its allies.